Brian Forsythe: Hello Bob, this is Brian Forsythe. Zoiks! : Hey! How are you doing? Thanks for taking the time to do this with us. You have a new live album that came out a couple weeks ago, and you’ve been reunited since 2003. What made now the right time to do the live album? BF: Well, it sort of came together by accident. You know we’ve been through all these shows and then people will come around and offer to film things, and like a year or so ago these guys from Connecticut, these friends of ours came to a show and asked us if they could film the show down in Baltimore. We had not even been planning on releasing it and after we looked at it, it turned out so well, Mark our current bass player decided to shop around to find someone to take interest in it. Then Frontiers Records saw it and liked it. It was just this weird thing that happened. We weren’t really planning on it. Z! : Oh, so you didn’t come up with the set list and all that stuff, it just kind of happened? With such a big catalog, how do you choose your set list for your live show? BF: Well, I am trying to remember. We must have thought about the set list before we filmed that. We tried to avoid repeating the same thing we did on that live album for Atlantic that we did back in 93. There may be a couple of repeats on there, but it’s hard to not repeat some of those songs. Z! : Right. Like a lot of bands from your era, that era kind of faded out in the mid 90’s and early 2000’s. What brought it back? Especially for you guys. BF: When we first got together at the very end of 2003, we weren’t even thinking about it. Steve’s Band “Funny Money” was playing shows around Baltimore and him and Ronnie were playing shows together. Ronnie has his band, The Blues Vultures, and at the end of the night Steve, Jimmy, and Ronnie, the bass player would get together and do this end of the show jam and do Kix songs. It went over so well that Steve called me and asked me if I’d be interested in joining in, and then we just decided to put something together and make it official. After that, that’s when I think the whole 80”s thing started to reoccur and all that stuff. I guess we were just kind of lucky that we started up when we did. Z! : Seems like the bands from that era may not be charting their albums as well, but they seem almost as popular live as they did back then. Am I wrong in that? BF: Yeah! There’s resurgence. It’s a live thing! I think a lot of the fans from the 80’s are older now and they like to go out and it sort of brings back their past. It’s nostalgic and they hear all the old songs and it’s an event. You know, when we do some of those 80’s festivals it’s insane the people, they know all the words. It is older fans but they also bring their kids, and it seems like the teenage kids are also getting into it too which is pretty cool. Z! : When music changes, like when it went to grunge and then the nu metal, you get a kind of a chance to rediscover it over again, and it is kind of neat to see a whole variety of ages in your audience. BF: Yeah! It’s surprising really. When we look out and see like a 17-year-old kid with a rock shirt from the eighties, it’s like a cool thing you know? Z! : I’ve talked with a lot of bands that have made successful come-backs, and it seems kind of pointless sometimes to even make a new album of original material because no matter how good it is it is going to be overshadowed by you know the Foofighters or Greenday, but I’ve got to imagine as artists you’re constantly writing. Will we ever get to see a new Kix album with original material? BF: Yes, you will. Part of the deal with Frontiers to release this live DVD and CD, they asked for another studio record too, so we are in the process of putting one together. Z! : Awesome! Because I know a lot of the diehards, of all bands really… even like the new Van Halen, you know it is not going to be the biggest thing ever, but the diehards want to hear the new stuff even though it might not be as, you know, it might not make as much money as it would have 20 years ago. Z! : But there’s always that guy out there, like me, that wants to hear the wide variety, you know, who doesn’t go to the bathroom during the deep cuts or whatever. It’s gotta be more satisfying this time around. The first time around I’m sure there was so much pressure trying to establish yourself and gain momentum. Now that your music has had some time to be rediscovered and it seems all fresh, I’ve got to imagine there is a lot less pressure, or am I wrong? BF: Yeah, there was a lot of pressure in the old days. 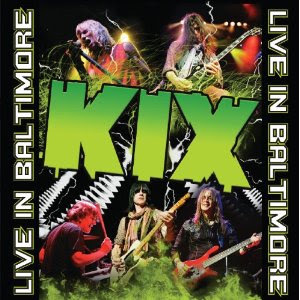 Kix was a touring band. It was just nonstop for us. The only time we ever took time off for us was to record another record. So this time when we decided to do it again, the purpose was just to have fun. Just to take it easy. You know, not take it too seriously, just have fun, and make some money. Z! : Cool. How has the change in the music industry affected Kix, or has it? BF: Well, we don’t have a major deal anymore, but I don’t know if it has really affected us yet, but I guess we’ll find out when the record comes out. Z! : Do you think it is harder for bands to get discovered nowadays or is it easier? Or is there just too much music in general out there that it’s just kind of saturated everything? BF: Yeah, I think it is a lot harder to make it these days, especially now with the economy the way it is. 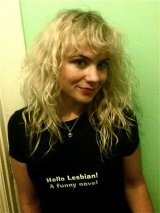 We’re lucky because we have a name from the 80’s and we can sell that to get on these bigger festival shows and stuff. A band just starting out and trying to do it right now, there is a lot of venues closing down and people don’t want to pay. It’s just really rough, you know! It is impossible to make a living at this just starting out. Z! : What advice would you have to somebody trying that dream right now? BF: (laughs) Wow! Normally I would say don’t give up…well, I would still say don’t give up. If it’s your dream, you don’t want to give up on it. There is always the exception to the rule, you know, and you don’t know if you’re going to be that exception.